A great statistic was released back in 2014: two-thirds of all teens who experience significant behavioral, mental or emotional problems receive therapy that does not involve medication. That means 70% of teenagers who are struggling are getting the help they need, a trend that appears to have grown over the years thanks to initiatives to improve mental health care for our country’s children. Unfortunately, this does not appear to be curbing the underlying issue. Teenage depression is more prevalent than ever, with suicide now the second most common cause of death for those under 18. The age of suicides is likewise seemingly getting younger, with children as young as ten succumbing to the condition. Stories like the one above and numbers that show how common depression and its consequences are in the US is a parent’s worst nightmare. Other problems may occur, such as personality or mood disorders, violent outbursts, criminal behavior, risky sexual behavior and other risks to their future. If your teenage son has been struggling you may be feeling rather helpless. How do you help them get their life back on track? Thankfully there are many programs to turn to, which can be individually selected to best meet your son’s needs. But how do you choose the best one? The first step is knowing what the options are and what they offer, so you can make an informed choice that is best for your child and your family. An in patient program is for severe cases where the teen is a potential threat to themselves or others. It may also be used to help children who have conditions that require more thorough treatment, including medication that has to be monitored in order to find the right combination and dosage. Most teens who are put into in patient programs will be there for a couple of weeks to a couple of months. It includes both group and individual therapy as well as intervention for drug abuse problems and diagnoses of conditions that might not yet have been caught by doctors in the past. This is considered one of the more extreme scenarios and is usually used as a last resort, as it can disrupt your child’s schooling. An alternative to this is out patient programs. These are similar to inpatient except that the teen will continue going to school and live at home. However, they will attend several therapy sessions with both group and individual psychologists who are located in a hospital setting. This is often done in conjunction with medication and is made for teens who are needing both intervention but have shown no current signs of harming themselves or others. Occasionally teens may begin in in patient programs and transition into out patient after they have been stabilized. While this one is preferable to in patient for most teens, it may not be best for your son. It can be difficult to maintain structure during out patient therapy and academic progress may still be stunted as a result. But it does allow the teen to remain at home, which in some cases may be best for their growth and development. Often the problem lay deeper than with your son and instead is impacting the overall family dynamic. When that happens it is important than everyone gets help, not only to deal with the underlying problems but also to help give you all the tools you need to better cope with what is happening in your lives and to communicate with one another. 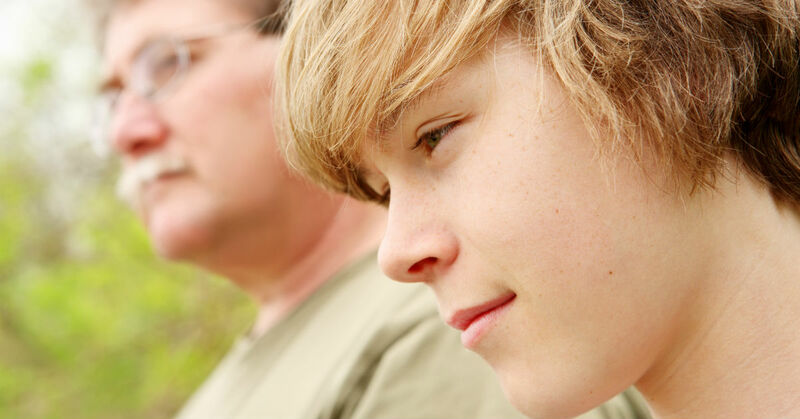 Family therapy is frequently recommended on top of other individual treatments your son may undergo. This heals you all as a family and keeps everyone on the same page. You may be surprised by how much your son has to say and some of what could be leading to his behavior. Particularly if there is trauma in his or the family’s histories. If full family therapy isn’t right for your situation but you would still like some help communicating or addressing certain issues as a group you can request that your son’s treatment plan include a couple of family sessions in order to assist in his recovery. Most therapists and programs are happy (and even eager) for this kind of family involvement. One of the more popular options these days is therapeutic boarding schools. Cases that haven’t been improved by other interventions may need something more extreme, but a hospital setting may not be the place for it. A therapeutic boarding school is equally balanced between academic performance improvement and behavioral therapy. It is run by professionals who are experienced in providing psychological care and counseling that gets to the root of teenage depression and other conditions. They also have medical staff to monitor medication. Other benefits of these boarding schools include tutors on staff to give your son individualized assistance on improving his grades, extra curricular activities and individualized hobbies that may interest your child, such as art or outdoorsmanship. Some even have equestrian or other animal programs to help teach your child responsibility and empathy. These programs tend to be fairly costly, though they provide more than just therapy. They are an entire system meant to bring your teen’s life back on track and to help them move forward into the future. In some cases insurance may pay for part or all of a program.